Jim Curtin put in one of his most interesting coaching performances, as his subs made all the difference in remaking the game. PSP’s Dan Walsh has player ratings and postgame analysis. 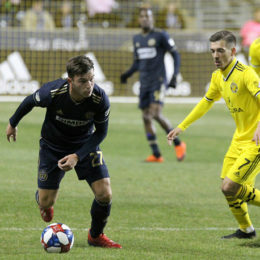 Impressive individual performances, as well as a dynamic team effort, was ultimately the deciding factor in Philadelphia’s victory against a lethargic Columbus Crew side. 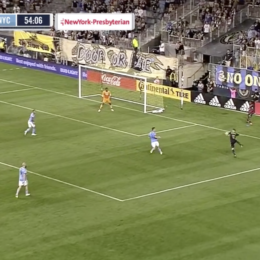 The Union not only played some breathtaking footy Saturday night, but absolutely shredded NYCFC’s game plan by enforcing their will and style on the match. Union coach Jim Curtin often talks about his team bringing a knife to a gun fight. The juxtaposition of those two weapons was never more on display than it was the pouring rain in Chester, PA on Saturday night. Philly can control a game with their defense, but the attack is a work in progress. Adam Cann breaks down the Union’s tactics from the team’s first match – and victory – in 2018. Tactical preview: Accam for the attack, but is the defense good enough to make you stay? 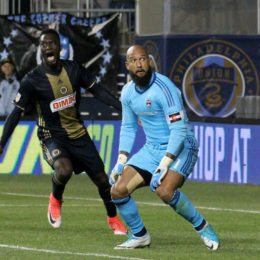 PSP’s Adam Cann breaks down the Union’s final match of the season. 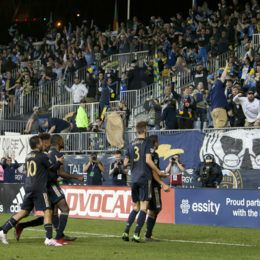 The Union came from behind in the first half and gave up a lead late in the second half as Chicago’s big attacking signing registered a hat trick and the Union’s entered in the 90th minute.